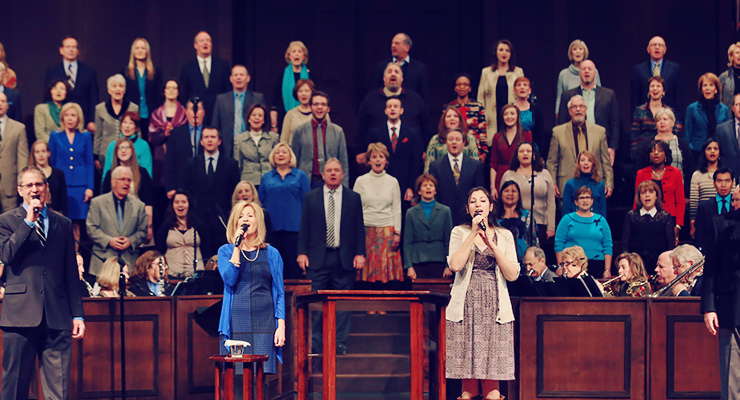 The Calvary Choir and Orchestra have recorded two live worship CDs: Worship at Calvary and Unending Songs. Both CDs are available for purchase in the Word Room, and Unending Songs is also available here on iTunes. 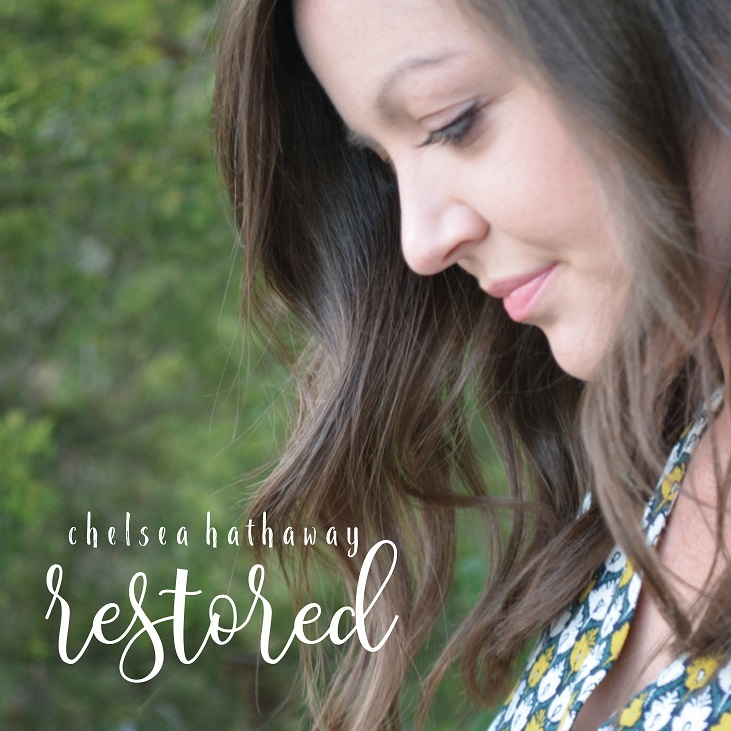 Chelsea Hathaway, our U18 Worship Coordinator, just released her first worship CD, Restored, featuring music and lyrics by Chelsea! Get it here on iTunes or you can pick it up in the Word Room. Our Worship Team is a deeply committed community of vocal and instrumental musicians, and sound and video technicians who love worshiping God and serving together. 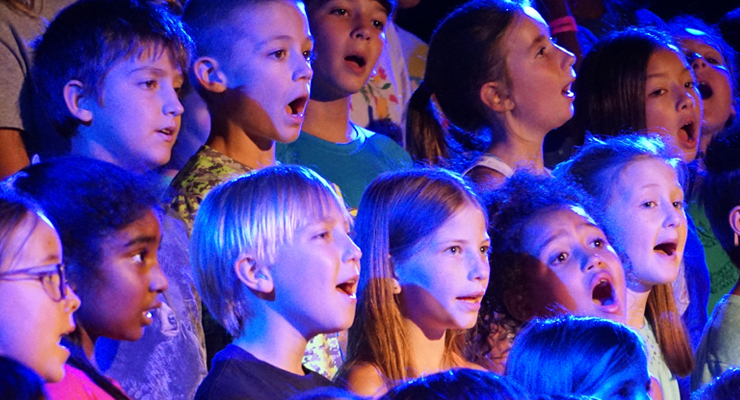 Our purpose is to help Calvary worship in an inspiring and meaningful way — plus, we have a lot of fun! Explore below to learn more about our Worship Team and Worship Ministries! Our Calvary Choir, Orchestra, Band, and Tech Team are made up of Calvary members of all ages who serve on Sundays in our worship service. We prepare each week during "Wednesday Worship" where we not only rehearse but also grow together through prayer and rich community. New members are typically accepted each year in September and January. We invite everyone who might be interested in any capacity to attend rehearsals and explore serving in worship. Extensive musical experience is not required, and training is provided for all tech team roles. The most important qualification is having a Christ-centered heart and a desire for God-glorifying worship! Email Christy Driscoll at cdriscoll@calvarychurch.com to sign up for a rehearsal. Rehearsals are typically held on Wednesdays at 6:30–8:00 PM. This choir (grades 6–12) rehearses on Sundays at 5:00–5:45 PM in the Choir Room, September through May. They participate in worship services and special concerts throughout the year. All middle and high school students are welcome — no audition or registration is needed! Come sing with us! 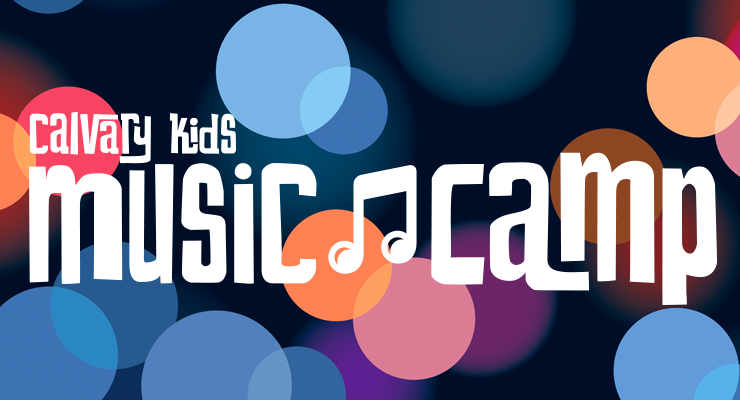 Calvary students are invited to participate in our worship band/vocal team and One Voice vocal ensemble. 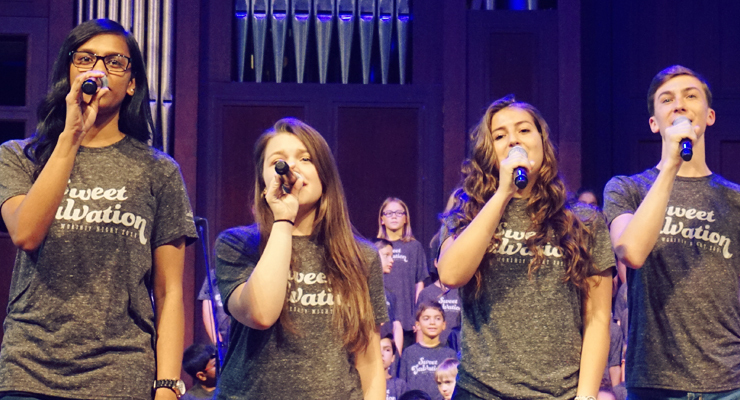 The Worship Band/Vocal Team (grades 8–12) lead worship for IGNITE on Wednesday nights, and One Voice (grades 9–12) sings occasionally on Sundays in the sanctuary and special concerts. During the school year, the band/vocal team meet regularly on Wednesdays to rehearse prior to IGNITE, and One Voice rehearses on Sunday afternoons. These are auditioned groups. 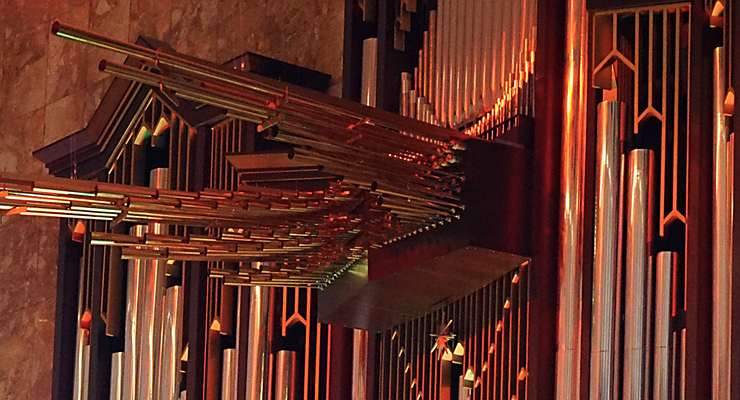 Our winter season of monthly Calvary organ concerts is underway! Join us on a select Thursday each month at 11:00–11:30 AM, January through May. These free concerts are open to everyone! They are held on the same day as our Senior Adult Luncheons. The schedule is subject to change, but updates will be noted here. Our next concert will be on Thursday, April 25 featuring Elizabeth Hildebrand. Come worship with us at 11:00 AM in the Sanctuary. Between now and then, worship with us on Sunday mornings or evenings! It takes a great volunteer team of sound, lighting and video technicians working together to produce our worship services and support the many events at Calvary. If you have skill or aptitude in sound, lighting, or video, this is a great opportunity serve! This ladies' ensemble ministers to those in elder care facilities around Charlotte. Programs are presented two Saturday mornings each month. Rehearsals are in the Rea Room on Mondays from 7:00-9:00 PM. Interested in serving with this ministry? For more information, contact Ruth Durie, 704.843.3681, rrdurie@wbt.org.